Here at Stamped.io, we’re always looking for ways to deliver the best service and give you the features you’re asking for. Our new custom forms feature is part of this journey, allowing you to tailor your review request forms to fit your customers and your business. Reviews are great, but sometimes you’re left wanting more information from your customers. Maybe you want to know what they like to do in the free time, or maybe you need to know what age group is buying your latest gadget so you can hit a home run with your next marketing campaign. With custom forms, you’re in the driver’s seat. Ask them whether the produced helps them in their daily life, or ask them about their favorite animal. The only limit here is your imagination. What else can you do with custom forms? In addition to asking your customers custom questions to better understand your products and audience, you can also choose from question types (textfield, radio button, or checkbox). Of course, you may find that you want to ask specific questions based on the product your customer bought, which is easily done with custom forms. Who will see my customer’s custom answers? Everyone! That is, everyone who is browsing your page if you have the product reviews widget installed. 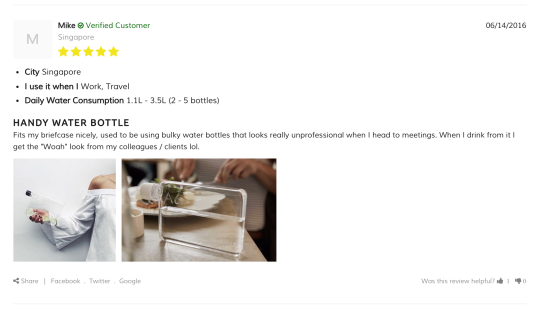 Submitted reviews with custom questions will be displayed to allow your prospective customers to get more information on the product before buying. 5 ways custom forms can help you! Gain better insight into your audience’s likes and dislikes. Target your marketing campaigns with more accuracy. customers, which means a more confident customer. View our knowledge base to learn about setting up your Custom Form today.